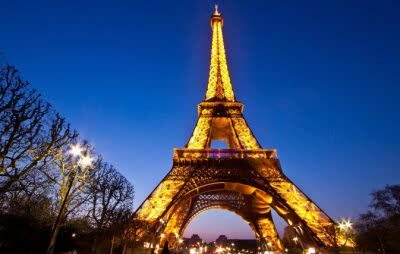 The Eiffel Tower, one of the must see when you are in Paris, the tower can be spotted from anywhere while walking around in the city. It was built by the French engineer Gustave Eiffel which was already famous at the time for building bridges. He spent several years building the Eiffel Tower as a monument for the World Exhibition in 1889. Although today, it is without doubt one of the most recognizable monuments in Europe, one that can be compared to the Statue of Liberty in New York, the Big Ben is London and the Taj Mahal in India, it was not supposed to be permanent when it was first introduced. After the Eiffel Tower was built, it faced a lot of criticism from Paris artistic and literary elite. The fact is, that the tower was almost torn down sometime in 1909 while the only reason it was eventually kept was due to its ability to provide a perfect platform for transmitting antennas. It is possible to climb up the stairs as far as the third floor. Going up to the top though is possible only using the elevator. From the top of the Eiffel Tower, Paris at 1,050 ft (320 meters) is very romantic, especially in the evening.